At our Reedy Creek Campus, we have created a unique precinct dedicated to the beginning of a child's learning journey. Our Early Learning Centre (Noah's Ark) caters for children from two and a half years of age and is designed to prepare students for the start of school. Our dedicated Prep Centre is adjacent to Noah's Ark, and together they form a Foundation Years Precinct. Our university trained Pre Prep teachers work closely with Prep teachers to make the transition into Prep as seamless as possible. 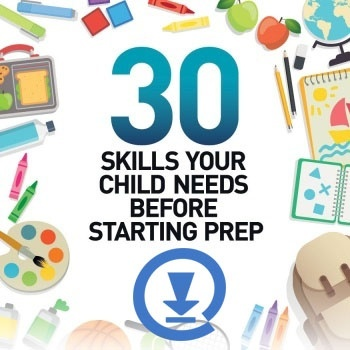 Pre Prep uses a child-centred play-based curriculum (The Queensland Kindergarten Learning Guidelines) that allows children to learn and practice the skills they need for the start of Prep. Junior and Senior Kindy follow the Early Years Learning Framework (EYLF). Pre Prep teachers understand the Prep curriculum at King's and tailor each child's experiences in preparation. As each child begins school, Prep teachers will continue the learning journey of each child from where they finished in Pre Prep at Noah's Ark, using the Australian Curriculum.